DCU are big users of Google Drive and although I have used it in the past I have not used it extensively, so it’s been a steep learning curve over the last few months getting to grips with it! However now that I have I think it is really useful. 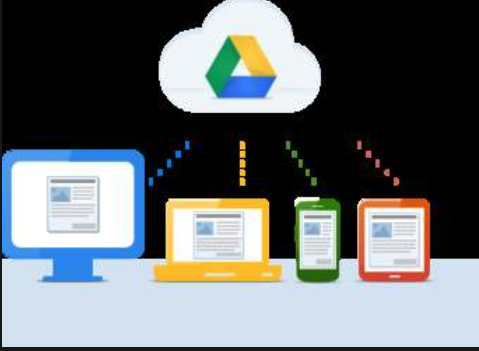 Google drive consists of the following: Google Docs, Google Sheets, Google Slides, which are similar to Microsoft Office Word, Excel and PowerPoint respectively. There are also Google Forms and Google Drawings. Here are some thoughts and tips. One of the key advantages of Google Drive is that you can access your files from anywhere. Another advantage is that you can share documents with other people. It is also possible to have templates for Google Docs. Select a new document, then select the option for using templates. We have a range of DCU templates. One of the confusing aspects for me is that I have two accounts, my Gmail account and my DCU account and I am forever in the wrong account unable to find a relevant file. Another aspect I have had to get to grips with is setting up folders rather than having a free for all with files. This entry was posted on Wednesday, January 16th, 2019 at 12:53 pm	and is filed under General. You can follow any responses to this entry through the RSS 2.0 feed. You can leave a response, or trackback from your own site.